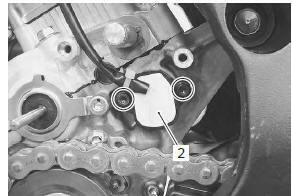 Disconnect the gear position switch lead wire coupler (1). Remove the gp switch (2). 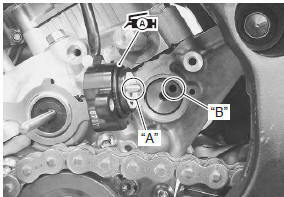 align the gear position switch pin “a” with the gearshift cam hole “b”. 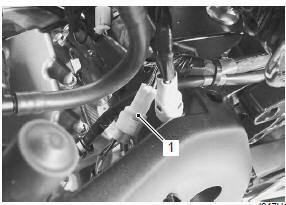 Route the gear position switch lead wire. 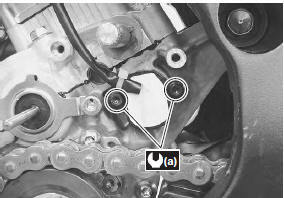 Refer to “wiring harness routing diagram” in section 9a .